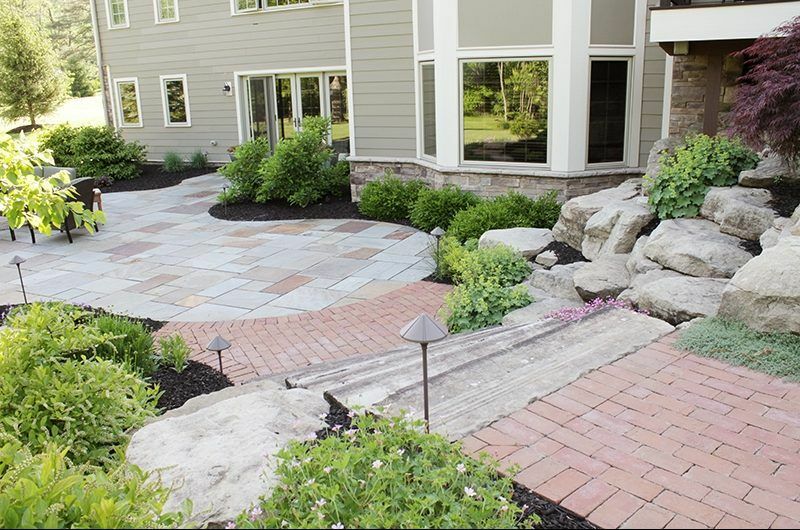 A dated concrete or brick patio can be transformed by our landscape design firm into an area that is much more than a simple surface. 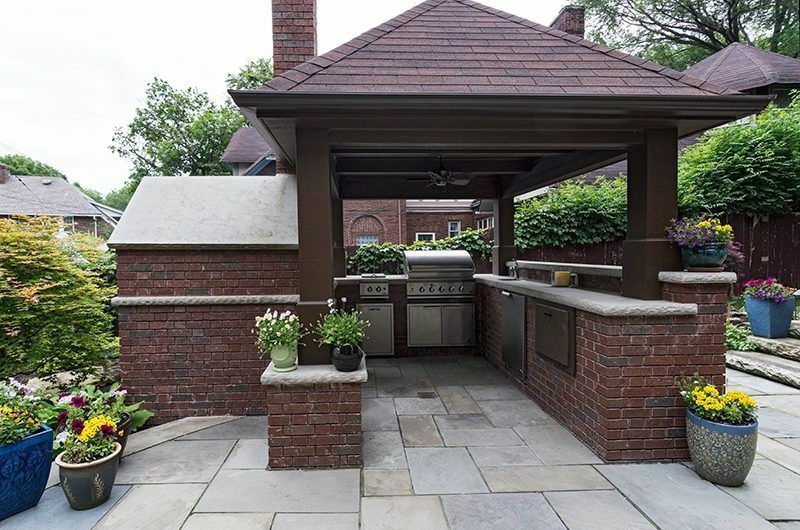 Now featuring the use of exotic materials, innovative design, and garden structures that can be used throughout the seasons, patios have become ideal spaces for entertaining and gathering with friends and family. Creating a patio landscape design involves meeting with one of our residential landscape designers. 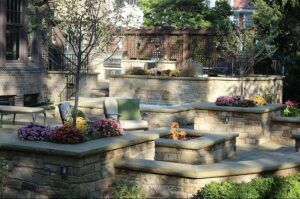 Once your goals and vision for the design have been discussed, the designer will prepare a final design and proposal and, once approved, construction can begin. 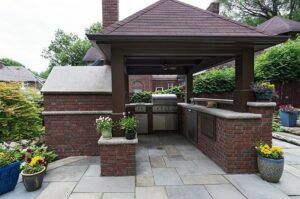 Exscape Designs’ team remains focused through every stage in the design and construction process of your custom patio.